This May will mark the two-year anniversary of Chris Cornell’s death and his absence from the music industry is still being felt. Last night, the Forum in Los Angeles hosted an eclectic group of musicians to pay tribute to the Soundgarden frontman by sharing stories of his influence and playing covers of selections from his deep catalog of songs. 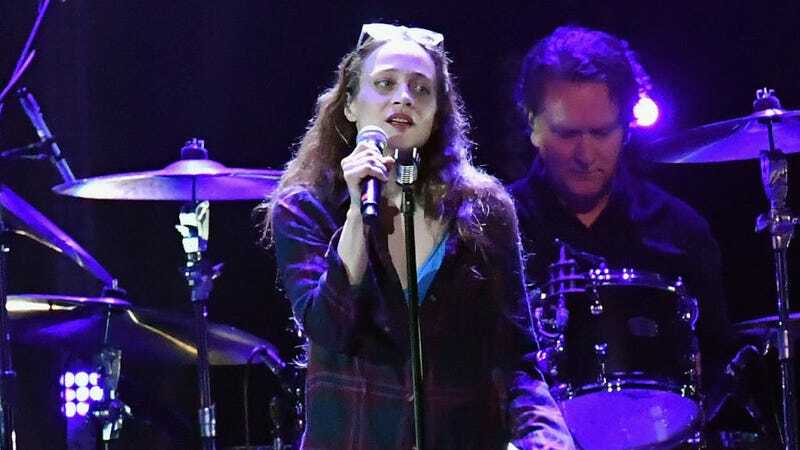 Among the musicians in attendance was Fiona Apple, who sang a cover of the Temple Of The Dog song “All Night Thing” backed by Cornell’s former bandmates. Other performances included Ryan Adams playing “Dead Wishes” off of Cornell’s 2015 album Higher Truth, Queens Of The Stone Age’s Josh Homme offering a solo cover of Soundgarden’s “Rusty Cage,” and Foo Fighters lighting up the stage with a raucous take on Down On The Upside’s “No Attention.” Scroll down for video of each. That was just a piece of the star-studded evening, however. Following a (slightly awkward) intro from Jack Black, Metallica scorched through a 25-minute set of their own cuts—including “Master Of Puppets” and “For Whom The Bell Tolls”—that they bookended with Soundgarden covers. Other performers included Miley Cyrus, Miguel, and country star Chris Stapleton. Proceeds from the event went to the Epidermolysis Bullosa Medical Research Foundation and the Chris And Vicky Cornell Foundation, which works to provide shelter and resources for homeless, abused, and at-risk youth around the world.